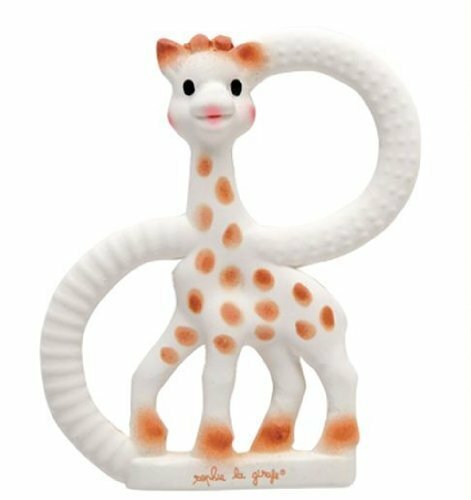 An all-natural rubber teether that is ideal for soothing painful gums! 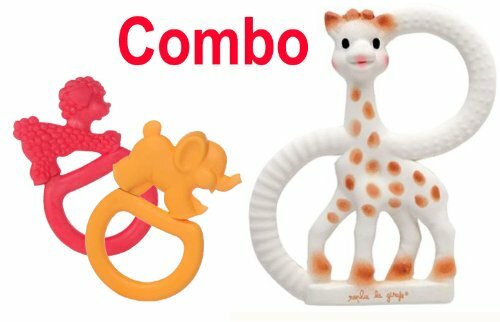 a safe & natural teether with plenty of chewable parts (ears, horns, legs, & rings) that baby will love to chomp on, providing comfort & relief during teething. 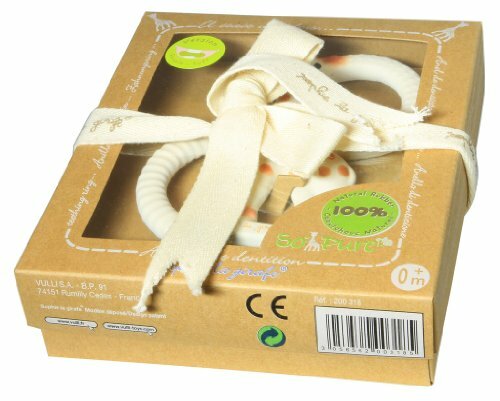 the two rings have different textured surfaces for baby to chosse from according to his age needs, to give even faster relief for aching gums. With a ridged surface for erupting teeth & a raised bump surface for soothing sore gums. Lightweight two-ring design, easy for small hands to hold & play with. 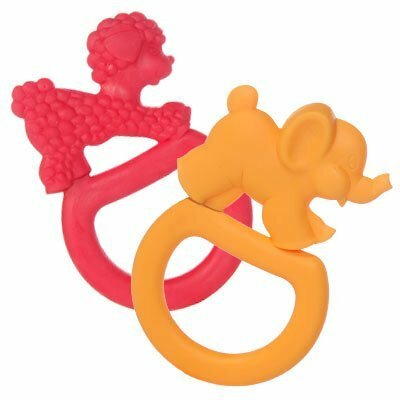 These teething rings are made of a soft & chewy deliciously vanilla-scented material that baby will love biting. Rapidly soothe sore or painful gums.